Day 1: Meeting your journey mates .If you have time look around the town then spend the night onboard. Day 2: Depart for a cruise to Ekincik and an optional excursions to the ancient city of Caunos, mud bath and Dalyan and dalyan river. Overnight will be in this bay. 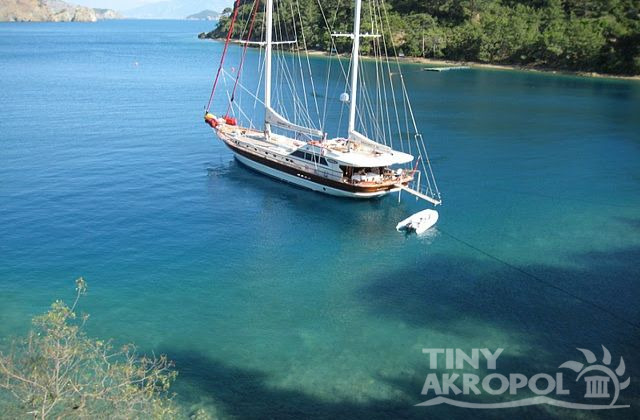 Day 4: Cruising along the fabulous coastline we go to Göcek and the bay of Fethiye ,the Ancient Telmessos. 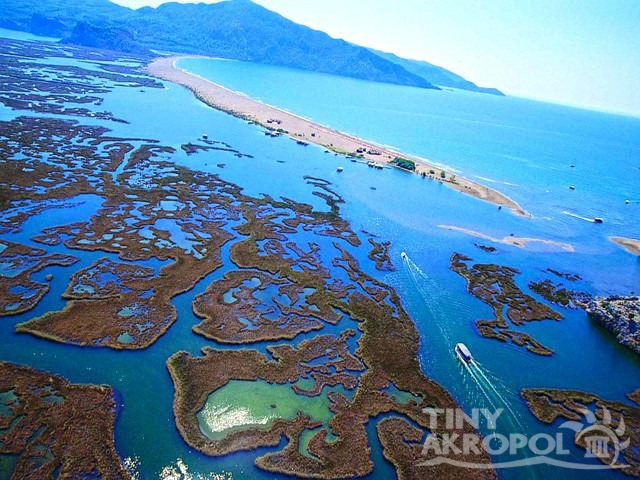 Here you can see the stone graves of Fethiye with an optional excursion to the stone valley of Saklikent. Overnight at Fethiye harbour. 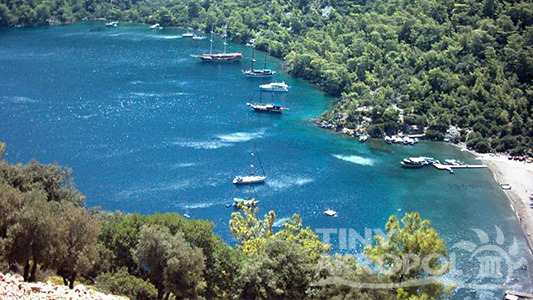 Day 5: We will be on the way of Marmaris with the visit of Bedri Rahmi Bay and Domuz Island. Day 7: Today we will visit Kadirga bay and in the afternoon arrive back in Marmaris harbour for a final night of shopping and entertainment in town. Day 8: Desembark the yacht after breakfast ready for your transfer.